Automatic on/off: Highly innovative sensors respond to moved object(more than 10 cu ft and quicker than 11 in/s), also detect movement through glass, wood and stud walls. Time setting: Set the black out time from 3 seconds to 5 minutes. 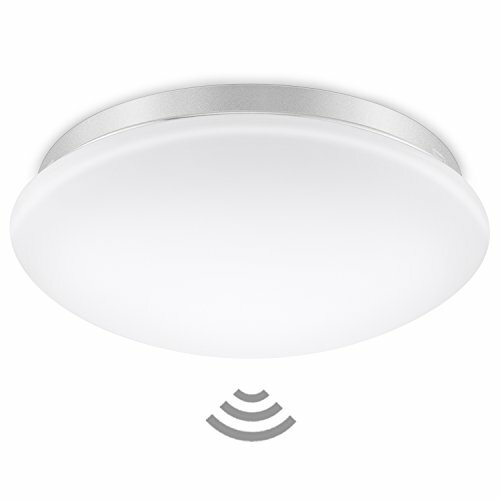 Reach setting: Infinitely variable electronic reach setting from 1 - 8 m.
Twilight setting: Set the response brightness from 1 - 3000 lux. The light only turns on when the ambient light is darker than twilight setting. 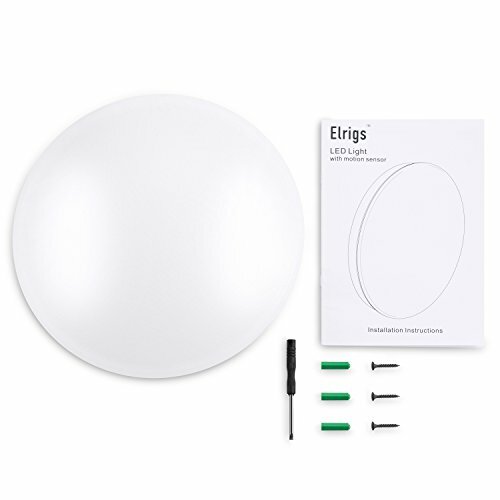 Easy installation: Identity installation of normal ceiling light, reach, time and twilight setting can be also easy adjusted. 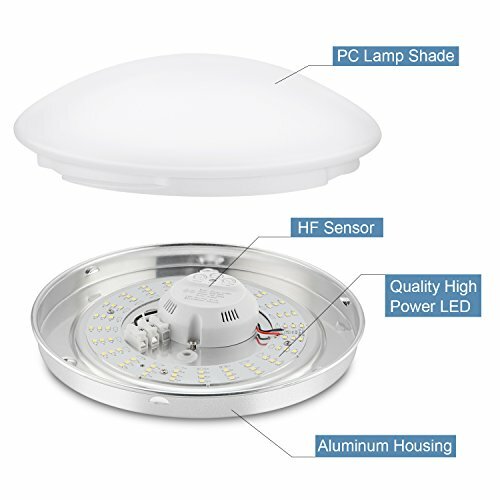 Flicker free technology: Flicker free light, protect your vision. Flicker check: Make a vedio of the illuminated light, if you see some dark stripe, it means that the light has flicker. Only the flicker free bulb can protect your vision. 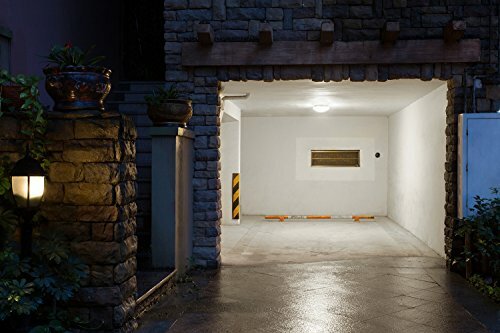 >Intelligent built in high frequency motion sensor, automatic on by more than 10 cu ft and quicker than 11 in/s moved object, black out time setting adjustable(3 sec.-5 min.) 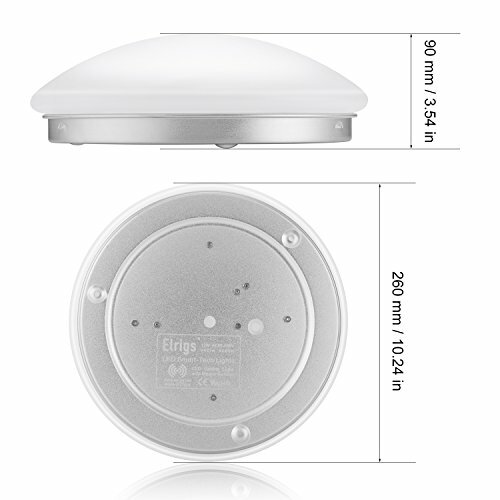 >Built in light sensor, respond to light level, the setting of response brightness can be adjusted (1-3000lux), always black out when the ambient light is brighter than light setting >Adjustable induction distance (3 - 24ft) with 360° detection angle, easy set the reach range as you wish >2 years warranty. CE and RoHs safety certification. 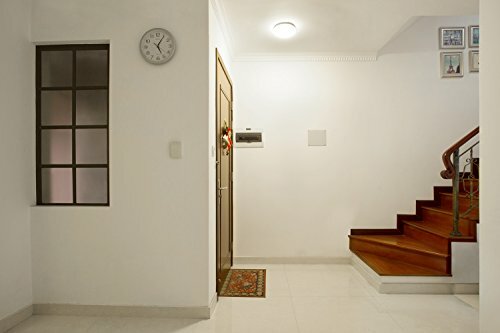 Long lifespan over 30000 hours >12w (1020lm) is equal to 100w, ideal application for corridors, halls, landings, stairwells, garage etc.